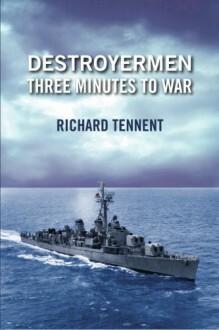 Tightly wrought and masterfully crafted, Destroyermen: Three Minutes To War by Richard Tennent is an explosive and highly charged historic novel set in the Cold War. On the USS George Dewey, a navy destroyer, the hand of fate tosses the crew from a dangerous assignment in the Middle East to a grueling mission at sea. No word from the free world will prepare the crew when they are sent on a mission with an objective to slow the construction of the Aswan Dam, a project underwritten by Nikita Khrushchev of the Soviet Union. After the two ship’s officers assigned the task narrowly escape, the ship is soon entangled in a developing military-political crisis of extraordinary scope. This begins a dangerous game masterminded by Khrushchev involving the major world powers. As the Dewey operates on high alert, the crew learns that a great price will be paid for the folly of man and nature.